Why Wavegarden R&D Facility is a Wave Pool, uh, Kiddie Pool. So all that amazing footage we see of pros blasting at the Wavegarden Cove test facility in Spain is done in a terribly tight space. We don’t really consider this during our daydreaming YouTube minutes. But these surfers are pros, trained to fit in as many manoeuvres as possible into a tight space. For us average surfers, it’s not possible to surf the test Cove as efficiently. Today we got confirmation that the kiddie-sized wave pool deep in the Basque Country is only one fifth the size of the Wavegarden you and I will end up surfing. Both the Melbourne and Bristol digs underway will be full sized Coves. The session was Owen Wright and Jack Freestone’s first surf in the Cove test facility. “For other Australians and those travelling to Australia next year, there’s good news on the horizon. 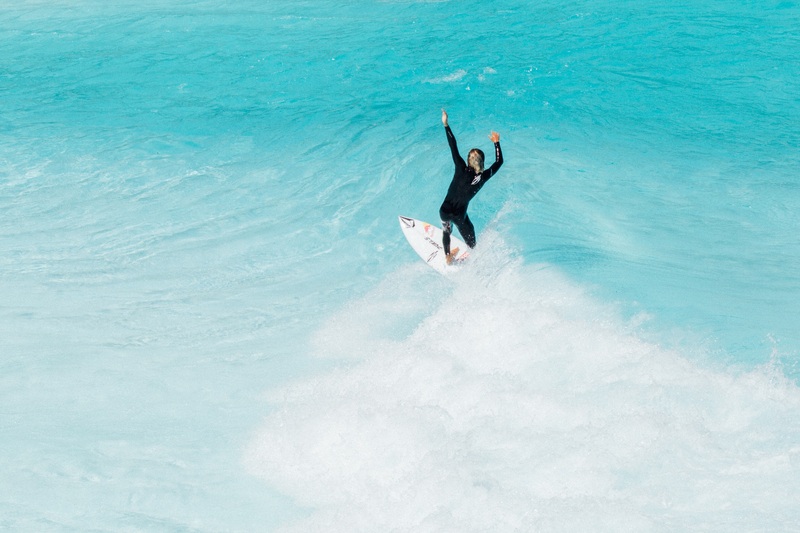 Urbnsurf is bringing a Wavegarden to Melbourne, which will open their doors in 2019. Further, Urbnsurf Melbourne will have a full-size Cove, which will be approximately 5 times larger than the demo model in Spain, with rights, lefts, and dedicated areas for all levels. Surfers will be able to score longer barrels and do more manoeuvers at Urbnsurf Melbourne when it opens.